Here at Hair by Tania we are passionate about beautiful hair. Our professional hair stylist are committed to making you look good and feel great. From excellent advice about hair style and colour to recommending the best hair care products, our expert stylist does it all. We aim to make every part of your salon experience fantastic and help you give the look you had in in your mind. Not only do we listen to our customer, but also create the new look that will leave you mesmerized. We strive to provide high quality salon service at affordable price. Our stylist can customize your services as per your requirements. With the latest technique, modern facilities and great hair care products, we know exactly what it takes to give our quality customer service possible. We offer wide range of affordable salon service such as: -Bleaching -Colour Corrections -Formals And Informal -Hair Consultations -Hair Repair Treatments -Highlights -Razor Cuts -Hair Straightening -Hair Colouring -Up-styling -Blow Drying -Colouring -Scalp & Head Massages -Style Cuts -Tints, Trims -Blow Waving -Shampooing & Hair Conditioning -Shaving & Many More Whether it is a new look, updated style or a special occasion, we have all the expertise to make you look great. We specialise in: -Bridal Hairstyle -Colour Corrections -Hair Makeover -Lightening Experts -Hair Makeover -Long Hair -Wedding And Special Events -Low Chemical Colouring We cater our services to: -Women -Men -Children -Seniors -Students -Models -Television Industry -Wedding Parties -Debutante Balls We also provide wide range of products such as: -Hair Brushes -Hair-care Products -Hair Conditioner -Shampoo -Hair Styling Products To know more about us, make an appointment at our hair salon today and talk to our expert hair stylist to get the look we you have always desired. 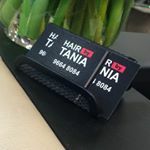 You can also visit our salon in Hair by Tania!